"Let's go drink for drink / A hundred bucks you won't outlast us"
The music video for LMFAO's 'Sorry For Party Rocking' is a veritable smorgasbord of good times and partying, and if you watch carefully, you might spot a hot pink beer bong that's rather similar to this one. Synthpop duo LMFAO are fast establishing themselves as the kings of partying, and this beer bong is perfect way to start a party of your own. 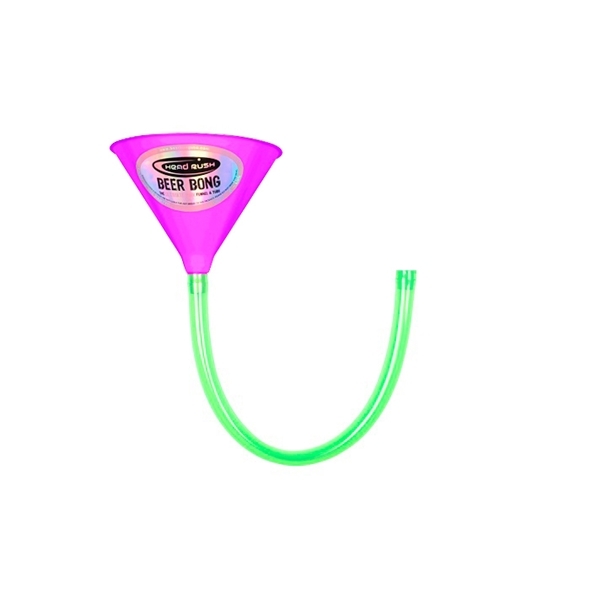 This pink beer bong is suspiciously similar to the one seen and used in the music video for ‘Sorry for Party Rocking’ by LMFAO. Go ahead, watch the video and take a look - the bong shows up just before the 5 minute mark.